The Celestial Orbit ring measures about 5.0 mm at the top center. 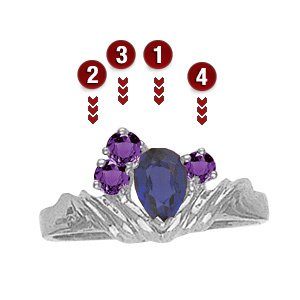 This ring accepts 1-5 stones. One 6x4mm pear shaped and 2.5mm rounds.